The pin is approximately 78 mm across. 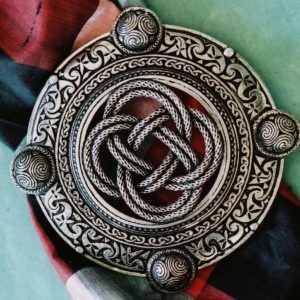 This is a functional Plaid Brooch that will become an integral and decorative part of your ‘kit.’ Multi-cultural as well as multi-functional, this piece draws on the history and art of two lands that have often shared much and yet always retained their own unique cultures and personalities. 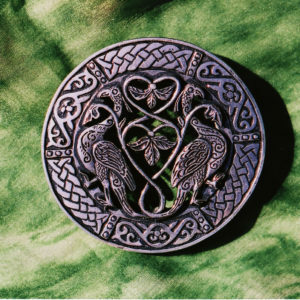 The centerpiece of intertwined dragons is based on a medieval French design, while the semi-sculpted thistle ring is a classic and immediately recognizable symbol of Scotland. 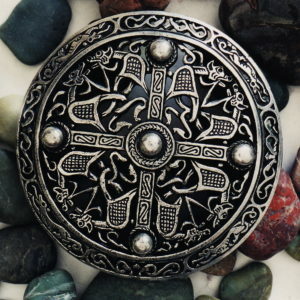 This is a beautiful and tactile piece that gives a ‘finished’ look to any outfit. 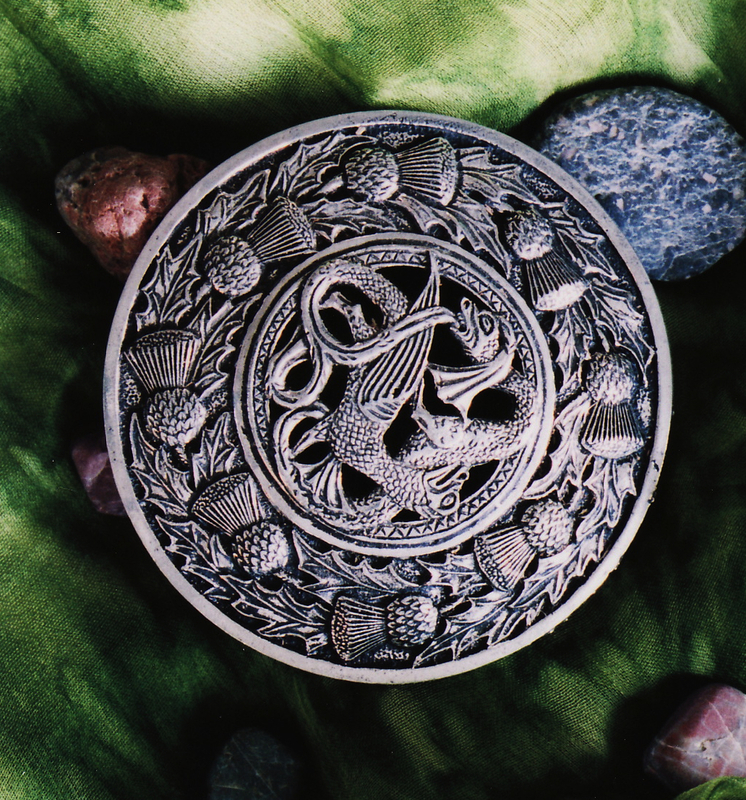 The polished pewter scales of the dragons make a striking contrast to the even weave of a kilt. Meanwhile the thistles are always a classic choice. This is a graceful versatile piece suitable for many different occasions. And, because the pin is detachable, the Dragon’s Nest can also be borrowed by the ladies to make a truly stunning necklace.